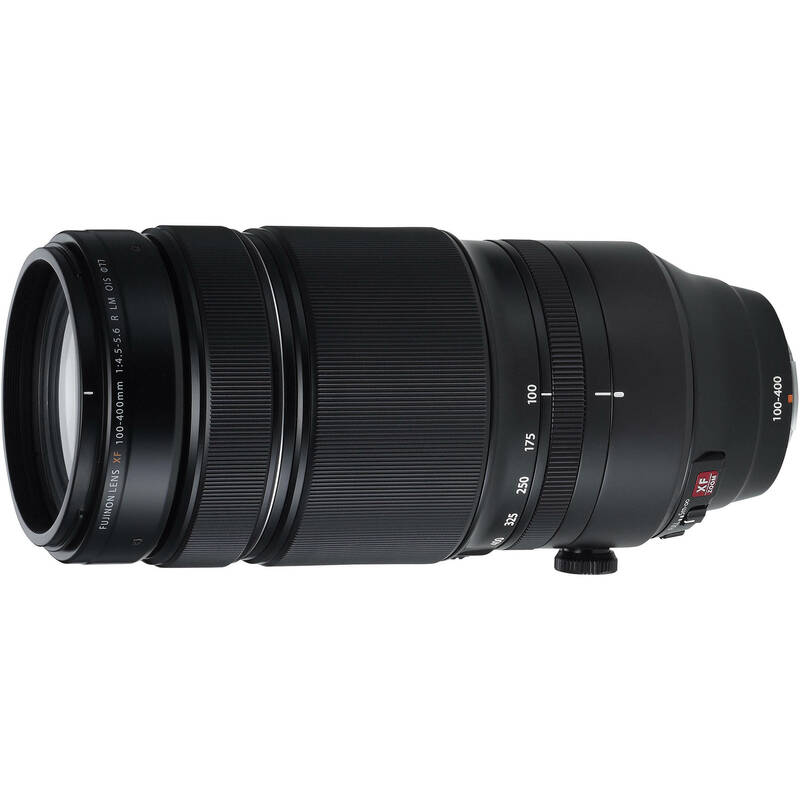 XF 100-400mm f/4.5-5.6 R LM OIS WR Lens is rated 4.7 out of 5 by 97. What are the dimensions of the lens with the hood attached? 12 1/4 inches long when at 100mm and 14 1/2 inches long at 400mm. The hood is 4 3/8 inches across. It's a large lens, but not so bad considering the reach it has. Does this lens work with Olympus mirrorless cameras or Panasonic mirrorless cameras as well? Will this lens work on a X-E1? Yes, but it is a large lens and will not be well balanced on the X-E1. You could also consider the Fuji grip, which would be somewhat helpful.